It’s 3:30 and I’ve just returned from the dance recital. The power is still out from Hikkaduwa to Ambalagoda. It went off about 7:30 this morning for repairs to the main line out on the beach road. None of the internet shops had power so I couldn’t send the email that I said I would send today. That one and this one will be in your inbox at the same time. 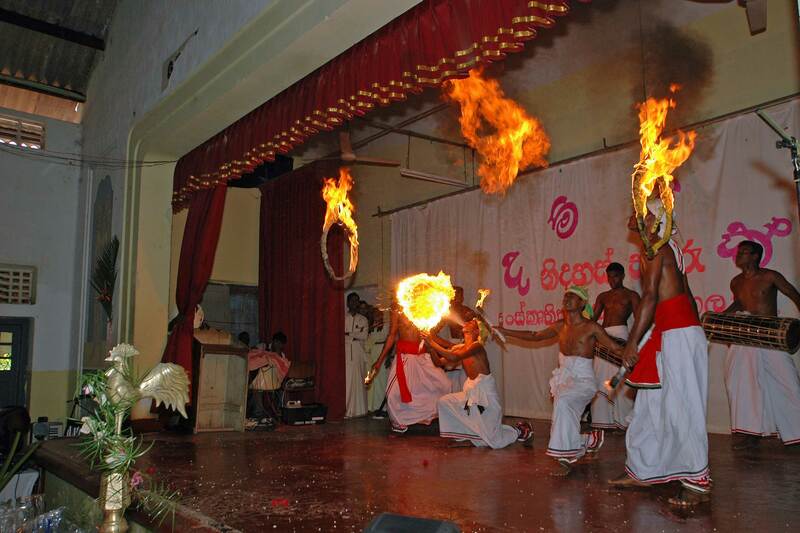 The recital was a big affair with 22 Sunday schools from the Ambalangoda District participating. It was held in the auditorium of the government funded public school in Madampa. It’s a big campus about the size of a Bellevue high school campus with grades 1 through 12. I was there from 9:30 to 12:00 and then they sent me back to our temple for lunch. Got back to the recital about 12:45 and stayed until now. Lots of great cultural dances with colorful costumes. Also lots of “speechifying” in between dances. Our group, doing their aboriginal dance, was the last one to perform. The crowd absolutely loved it with lots of clapping and cheering but the judges didn’t see it that way and we didn’t make the top 3. During an intermission, a “professional” group of fire dancers was brought in. It was a near disaster. They spilled and spewed kerosene all over the stage floor and even into the audience. When they closed the stage curtains over their still burning props I started for the exit. The crew had to wipe down the floor before the next school group could start. The auditorium reeked of kerosene for the rest of the show. I had a good seat up front with the monks. There are 2 ways for a gringo to get VIP treatment here (I was the only one in a crowd of about 800 people). One is to walk close to a senior monk who is your friend. The other is to carry a big camera like my Nikon DSLR with telephoto lenses. I’m not sure why the camera trick works. I assume they think I will track them down and give them copies, or maybe they think they’ll track me down. Anyway, I had both going for me so I got my usual good seating. It was very hot today so I ditched my trousers in favor of my sarong after I got back here. Before my dinner, Bhante Piyananda and I strolled through the new part of the village chewing cinnamon leaf stems that we picked from the trees and doing “face time” with the people. Several made pointed comments about Bhante being gone to the recital all day when they had expected him to be available for counseling and conflict resolution on a Sunday when they were home from work. I received several flattering comments about my sarong. At least I think they were flattering. Shantha, Nalika and Nanda were alone at the temple all day. They have all been here two and a half years. In fact they all came on the same day. Nanda and Shantha are cousins from the Polunurawa (sorry, spell checker is no help on this one) area up north. Nanda’s father worked as a mason here during the village reconstruction and he grew to respect Bhante Piyananda’s kindness and dedication. Nanda had hung around his home temple as a small boy and had expressed a strong interest in becoming a monk. His father asked Bhante Piyananda if he would accept him. Shantha also had an interest because he knew he would get a better education in the sangha than his poor family could otherwise afford. When his mother found out her brother’s son, Nanda, was coming here she asked if Shantha could as well. Nalika comes from a troubled family where the father is an abusive alcoholic. His mother thought he would be safer here, Nalika agreed and his aunt who knew of Bhante Piyananda made the arrangements. He was born not too far from here in a village further inland. I’m not entirely certain she was his familial aunt. It is customary here to address elders as auntie or uncle. Shantha is 16 and Nalika and Nanda are both 13. All say they are happy to be here and that they chose this path of their own accord. All 3 say they plan to ordain when they are 21. But that’s a long way away for teenage boys. Another monk, who was also named Nalika, was 22 when I was here last year. Just before I arrived this time he disrobed, got married and now has a government job in Colombo. The other monk here, Samanera Dasana, is 23 but has no interest in ordaining. He is genial and helpful but doesn’t have much interest in learning or religious matters. I think, like a few monks, he is more interested in the prestige and the free lunches. I wish I had been here for the ceremony for the 3 novices. I have observed it in Thailand and at temples in the U.S. They spend a day or 2 preparing and learning the proper form of response to the questions their preceptor will ask them. Just before the ceremony their heads would have been shaved. They would have been given the first locks of hair to hold while contemplating the journey and responsibilities that they were about to undertake. At the end of the ceremony their family and friends presented them with their first robes, a metal bowl to collect their food in during alms rounds, an umbrella, a bit of soap, a sewing kit, and very little else. These would be the only things they would truly own for the rest of their time in the sangha. From that point on they would not be allowed to hug or touch their mother or any other woman. Even their mothers and fathers would have to bow at their feet when greeting and leaving them. But not to worry about them getting full of themselves for they will be the most junior in a long hierarchy of monks with seniority based on the date you first enter the sangha. They’ll be the last in line for everything for quite awhile. It’s 7:00 PM now and the power just came back on in time for my dinner. I came downstairs from writing this to find Bhante Piyananda had boiled some cauliflower and a few cabbage leaves. He was also frying my last egg for me. It’s still very hot so I’m going to try to sleep with my turbo fan on tonight. Fire! In a crowded theatre. The moon was full last night so today is Poya Day. As if I needed a reminder, at 5:30, the loud speakers started with enough volume so that the entire village would not miss a single word. First is a recording of the Ti-sarana and then various recorded chants and sermons until 7:00. Not to be outdone, the temple drummer started at 6:00. The Ti-sarana is the first chant offered every morning, before any religious event or other ceremony, to start the school day, and any other time that the occasion might warrant. Any child from the age of 5 can recite it at the drop of a hat. First, the Buddha is acknowledged 3 times as the highest teacher and one who has come to realize things as they really are through his own efforts, not by being taught. Next, the Buddha, his teachings (the Dhamma), and the Sangha (the unbroken lineage of monks who have carried on the teachings) are each honored 3 times. The triple repetition is to ensure that if one’s thoughts stray during the recitation at least one of the phrases will have been uttered with the complete attention of the mind. The third part of the Ti-sarana is the vow to undertake certain practices. The first is to avoid taking the life of any living thing; the second is to refrain from taking anything that is not offered. Next is to avoid any form of sexual misconduct such as, but not limited to, adultery, coercion or deceit. The fourth is to refrain from false or harmful speech including idle gossip. And lastly for most laymen, is to not partake of anything that would cloud the mind or lead to loss of control of the senses. This includes alcohol, drugs, excessive gaming, etc. Those people who become anagarikas, mostly elder women, take an additional 3 vows which they live by daily. Most other people take those same vows on Poya Day. An anagarika is like a church deaconess. They have memorized quite a large body of the scriptures and will often correct a young monk if he makes a mistake as he leads them in chanting. Men also become anagarikas, in fact the term originally applied men in training to become monks, but in this village I have only seen 1 man observing this practice. Monks take more than 200 vows that they live by every day. The anagarikas come to the temple early in the morning dressed in all white. Their grandchildren will often accompany them. They will set on the floor of the preschool on thin reed mats that the novices have laid down. They line 3 sides with their backs against the wall, hands folded at their hearts. Bhante Piyananda leads them in a morning puja (service) for about an hour while other village women prepare a meal offering for them. After the service one of the anagarikas will begin to pass along the line with an offering which some will add to and all will touch. Most often it is a small amount of money, maybe US 0.50 cents that will be given to monks which they in turn spend to support the village in various ways. Then the other women will pass along the line offering food to each anagarika in turn which is symbolic of the monks morning alms round. Today in Sri Lanka the monks don’t often walk to each house waiting motionless and quietly for a while to give each householder a chance to earn merit by placing food in their bowls and then moving on to the next house. It is more common now for a different house each day to bring a midday food offering to the temple before noon. 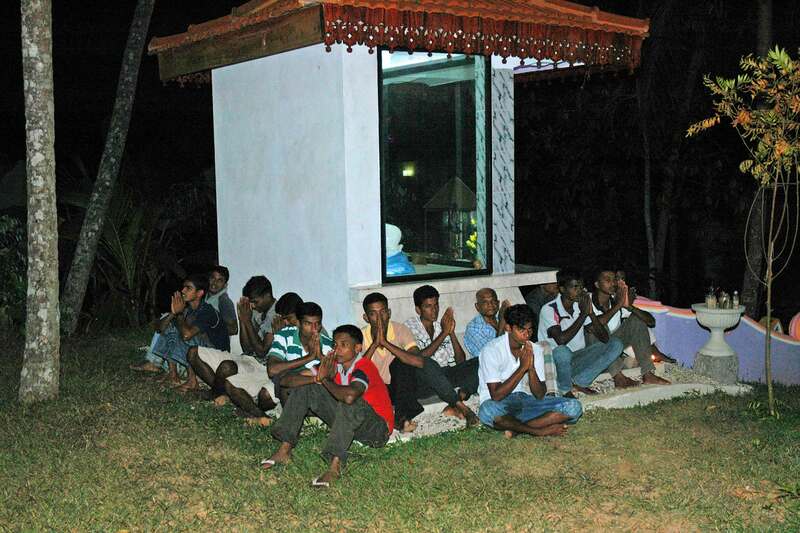 The anagarikas will stay at the temple all day until after the evening Bodhi Puja. They will visit, catch up on village news and listen to sermons from visiting monks. 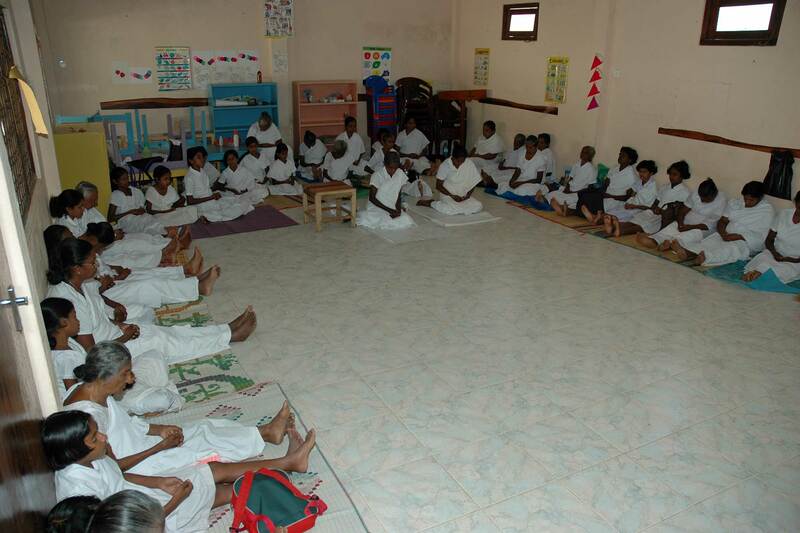 Before lunch they practice bhavana (meditation) for about an hour. For those of you who may be wondering, I adopted the Buddhist way of living twelve years ago when I lived in Asia. I no longer practice the rituals except when I am visiting a temple. I no longer meditate every morning and evening, but do so when I am troubled. I do continue to try to practice the principles and to research and study its history and philosophy as it is practiced in its cultural variants in Tibet, Nepal, China, Korea, Japan, Thailand, Cambodia, Laos, and Myanmar. Also its recent resurgence in India after being eradicated by the invading armies of Islam about 800 years ago. 1. Tamils from Southern Indian, many whose ancestors were here before the Sinhalese came and many brought by the British to work the tea plantations. They practice Hinduism. 2. Muslims whose ancestors either came as Moorish traders from Arabia or Indonesia. They of course, practice Islam. 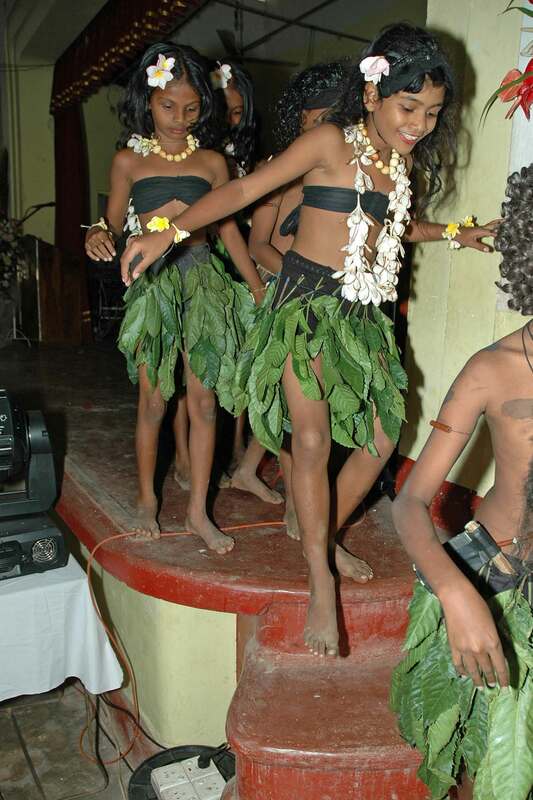 I confess to knowing only a little bit about these other cultures here in Sri Lanka. I do know that most of the Buddhist and Tamils are vegetarian but do eat fish. The vow of not killing any living thing does not apply to eating it as long as it has not been expressly killed for you. Wealthier bureaucrats in Colombo that can afford it do eat meat. Because Buddhists and Hindus have restrictions against killing, it is mostly Muslims who operate the butcher shops offering beef, goat and chicken (no pork). Some Tamils feel they have been badly mistreated under majority Sinhalese rule since independence was realized in 1948 after the British occupation. A militant group was formed to try and wrest control of part of the island for a Tamil homeland. 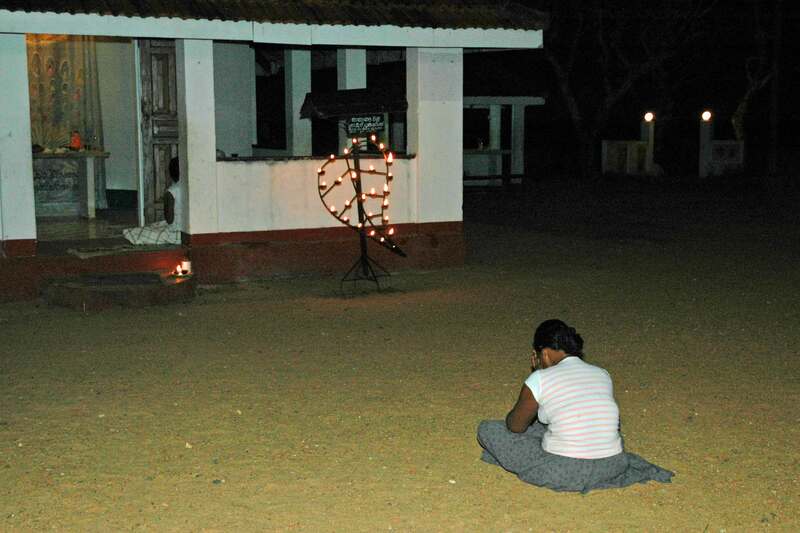 As they are vastly outgunned by the Sri Lankan armed forces, the Liberation Tigers of Tamil Elan (LTTE) have resorted to terrorism for their chief strategy and tactics. They strike from within the deep jungle (with suicide bombers and 2 man motorcycle assassination teams) which makes it hard for the government forces to defeat them. This is the primary cause of the 20 plus year civil war that has claimed over 80,000 lives. Most of the casualties, as is always the case, have been civilians caught in the middle. The government has trained (probably with US aid) their own units similar to US SEALS to fight the LTTE on their own terms. Several members of these Special Forces have come from surrounding villages and I have met a couple of them when they were home on leave. They are pleasant enough people when visiting boyhood friends here but there is hardness behind their eyes and in their smiles. In their presence I feel as I would if there were a snake in the room that I didn’t know was poisonous or not. Also several boys from this village now have prosthetic limbs after serving a tour of duty in the regular army. Most of the fighting is now isolated in the far north but the suicide bombers can and have struck throughout the island, mostly against civilian targets. I met Champi’s mother yesterday at the dance recital. Today, Champi, her boyfriend, her father and stepmother, step sister and brother, and aunt and uncle all brought the midday offering. A plate was ladled out for a symbolic offering of gratitude to the Buddha and placed at his image under the Bodhi tree. Then I was asked to take what I wanted and after I finished (after constant entreaties to take more), the monks ate heartily of their only meal today. Trust me this is highly unusual. Normally the laity eats only after the monks have finished. It’s 1:00 and getting hot. I’m going to take a nap until it’s time for Bodhi Puja this evening. No new photos about that as it will be the same as the previous one, only a bit larger. It’s 6:00 now and the day has cooled down. I’m setting on the front porch chewing betel with Bhante Piyananda watching the villagers arrive with their bowls of flowers and other offerings in preparation for the Bodhi Puja at 6:30. This proves to be a bad idea as the mosquitoes are quite ferocious this evening. To keep my overweight luggage costs down, I didn’t pack repellent thinking I would buy some here but the only thing I can find in the stores has warning labels that read like Agent Orange. Chewing betel is also a bad idea as I have never quite acquired the taste or proper decorum. It comes in many varieties. Here it is a chunk of nutmeg, a whole clove, a few other bits and pieces and a paste that I believe is a form of mild lye, all wrapped up in a piece of betel leaf. It’s placed in the mouth and chewed like plug tobacco. You have to be close to an approved spitting area because your mouth instantly floods with saliva that turns blood red. I make short work of mine and make an excuse to go upstairs and brush my teeth. Betel leaf and the condiments are often one of the offerings to monks. This is a common habit throughout south Asia. In India, It’s called pan, and there is a particularly mild and sweet version that is served after desert at Indian dinner parties. There’s another version with tobacco in it that will knock your socks off. At 6:30, I’m standing near the head of the Bodhi Puja line passing small, unbaked clay lamps filled with coconut oil and a lighted wick hanging over the edge. They are hard to hold onto as they are covered in spilled oil and soon it is all over your fingers. Next come all sorts of containers, mostly humble paper cups, filled with sand into which clumps of lit incense sticks are stuck upright. Lastly come plates with unique arrangements of brightly covered flower blossoms. In amongst all this are an occasional plate with bits of fruit and a few with arrangements of betel leaves. Everyone forgives me my transgression of standing in line with my flip-flops on. My feet are not as tough as theirs and the gravel in the sand makes it unbearable for me to walk barefoot outside. The full moon is shining in the eastern sky thru light clouds that produce a diffuse yellow-orange glow. Now, as many people as can fit in there move to sit on the preschool floor. Others sit on the ground outside in family groups. I sit with the men under the palm trees. One woman sets alone on the ground quite distant from but facing the entrance to the image house. I’m not sure what could be on her mind. Young Shantha begins to chant the evening service in a lovely style. He chants for a full hour with only a few breaks in his rhythm and cracks in his voice. Some the chants are call and response and the voices of the villagers as well as Shantha’s can be heard throughout the jungle night from the loudspeakers on poles high above the temple. At 16, he is a much more accomplished as a novice monk than Samanera Dassana who is 23. After he finishes and walks by, I bow and touch his feet as a sign of respect for the terrific job he has just done. He briefly touches the top of my head which is the usual response. Many of the women do likewise but stop just short of touching him. A moment later he is inside playing with Nanda and Nalika. I’m sure he is an inspiration for them to study hard and practice, at least when he’s not wrestling with them. Several of the women bow and touch my feet as well. This is a common gesture given as a sign of respect to elders. The chanting is done in Pali, an ancient language from the time and location of the Buddha’s life. It is rarely studied outside the Sangha or universities. In its written form, it is the language in which the Teachings have been handed down for over 2200 years. They were not written down until several hundred years after the Buddha’s death over 2500 years ago. To ensure that the successive line of monks (the Pali word is bhikkhu) could repeat them word for word a mnemonic was needed. So they were organized into poetic forms of chants with many repeated phrases. An accomplished chanter is highly regarded by the laity and listening to him is like listening to soothing music. Many monks, however, prefer a much more strident style of delivery which can sound harsh if you, like me, don’t understand the words behind the sound. While Shantha has been chanting, Bhante Piyananda has been in his office preparing his sermon. It is short tonight and at the end he announces that next Saturday at 6:30 is Movie Night in the preschool and I will be showing “Harry Potter and the Sorcerer’s Stone”, one of several DVDs I brought for the children. He also scolds the adults for not filling the seats in the Saturday computer classes set aside for them reminding them that all this is for their benefit. Afterwards several people come up and ask me what time the Saturday classes begin. Its dark now and the villagers begin to drift home holding a flashlight in one hand and their children by the other as they make their way along the jungle paths. Ven. Amita has just now returned from a week of exams at a university in Colombo. He came by bus which from my experience is a 3 hour, hot, sticky, crowded, standup, white knuckle ride. I had a light dinner of instant noodles, left over pineapple salad and some melted ice cream. The freezer doesn’t freeze. The fridge is cool enough to protect my insulin but I think it is mostly used to keep ants out of the jam jar. The ants and I have had an uneasy truce for several days now. I don’t do anything to disrupt them and when I eat some biscuits, I do it over the bathroom sink so no crumbs drop on the floor. I keep a few biscuits in a sealed plastic jar in case I wake with low blood sugar in the night. But today they broke the truce. They had taken an uncommon interest in my bath towel and my toiletries. I made a firm counteroffensive. The ones on the towel were easily repelled with a few shakes. But the ones in my travel kit have proven to be much more difficult to dislodge. I’m hopeful the new peace will last through the night. After 2 weeks on the road, I had my first episode of Traveler’s Distress this morning. I usually deal with it with a few Pepto Bismal tablets. If that doesn’t bring relief I switch to Immodium and if that fails I escalate to Lomotil after a few days. I don’t like resorting to the latter 2 because the opposite symptoms can last for many days. Since I don’t have to travel, I will just keep my honorable bathroom fixture in sight, drink lots of fluids and rest. I already feel better this evening. I apologize if this is too much information. It hasn’t rained since I’ve been here other than the first night I arrived in Colombo. I awoke a couple of nights to what I thought was rain. But it was only the water tank overflowing. Apparently, a leaking water main that has since been repaired was the source of my water shortage on the second floor during my first few days here. Bhante Piyananda scaled the tower and fixed the jammed float valve that had led to the overflow. All is normal once again. Now the only thing that wakes me are the calls coming through my screened lattice from every jungle creature that can vocalize. They start at false dawn about 4:30 in the morning. If we have a working internet connection tomorrow, I’ll send both of these emails from the temple. If not I’ll try to get into town.